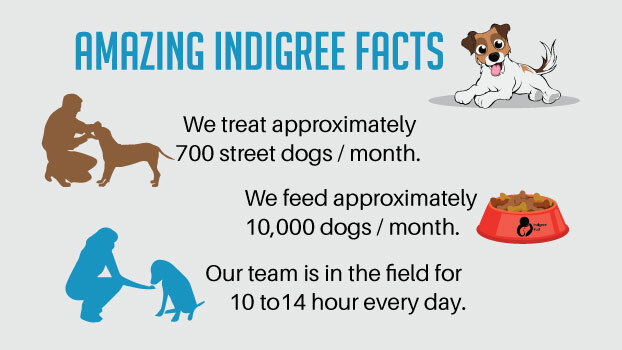 Indigree Angels Trust saves street dogs from disease, injury, and cruelty of human beings. We feed, treat, sterilise and heal them & have been doing this in the streets of Delhi for over 7 years now! 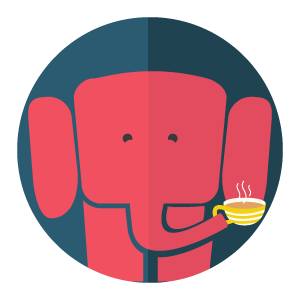 We are a registered NGO based out of New Delhi. 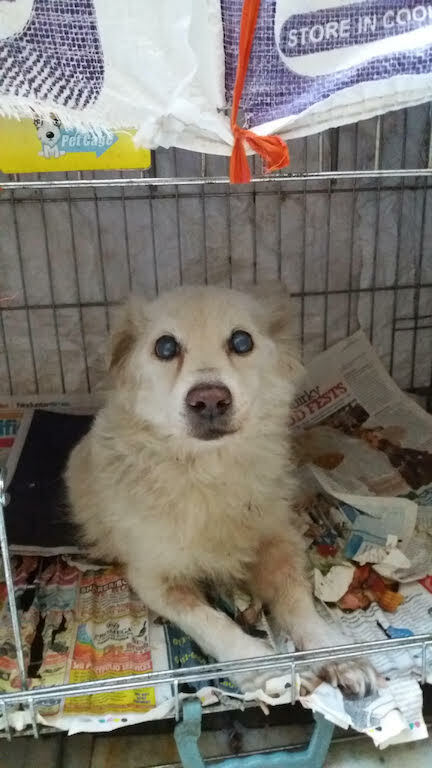 The dogs are often in a terrible state & what we do is often referred to as a miracle. We are doing this crowdfunding campaign to fund our "MOBILE AMBULANCE" running costs of ₹ 1.1L per month. * Scroll down for cost breakup. 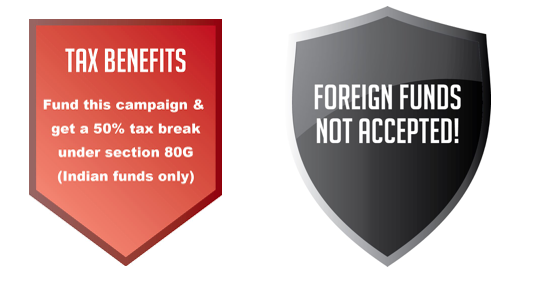 Read the story below & you will then be able to decide if you want to fund us. We found “Masaya” lying by the side of a busy road unconscious and barely breathing. 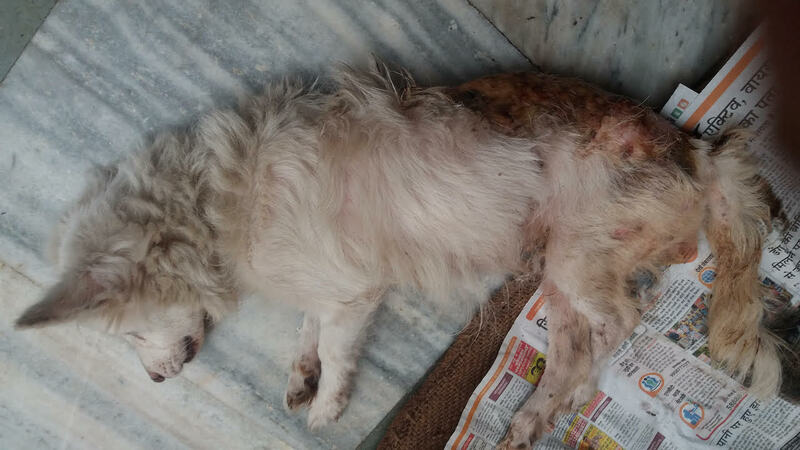 Her back was badly burnt and the wounds had already some tiny maggots. Confused with a serious eye infection which may affect her sight forever she was completely dehydrated and weak. Today ”Masaya” is the little queen of the kennels in our home boarding. Her back is beautifully healed and pink skin has replaced the hideous burn scar. She is eating and off IV drips, loves her morning biscuits and snaps at any four legged intruder, who comes too close to her little home. She is a toy Pomeranian who will be a beautiful dog for someone to adopt soon. We have thousands of stories like Masaya that we have been part of , as we transform how street dogs are cared & treated for in Delhi . 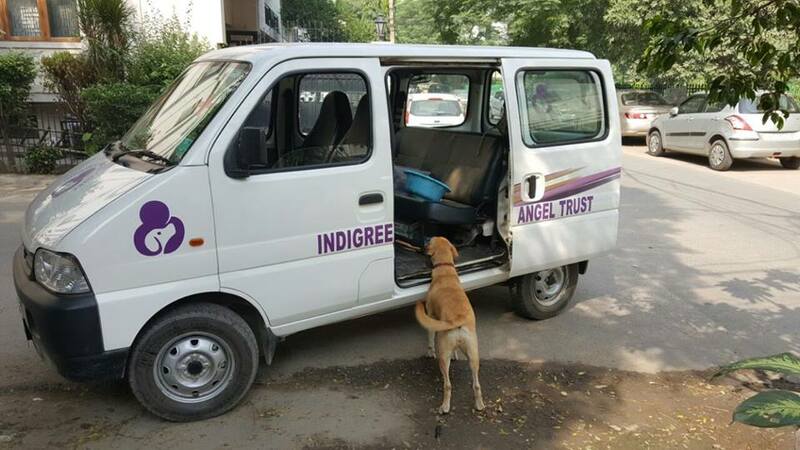 Indigree Angels Trust is a national non-profit organization based in New Delhi and designed to rescue, rehabilitate and heal abandoned and abused Indian/Pedigree dogs. We are dedicated to raising awareness about the rare qualities of Indian dogs and the rampant neglect and abuse they experience every day. We are a group of like-minded people dedicated to the welfare of the great Indian dog be they on our streets or in our homes. It’s a humble effort to awaken people to the truth that the angel that they spend their lives searching for is in fact just down the street waiting to share his/her lifelong love and protection. We are here to help you find your perfect Indigree Angel Pup/Dog and to provide you information on how to bring him/her up the right way. From feeding to training, you will find it all here. 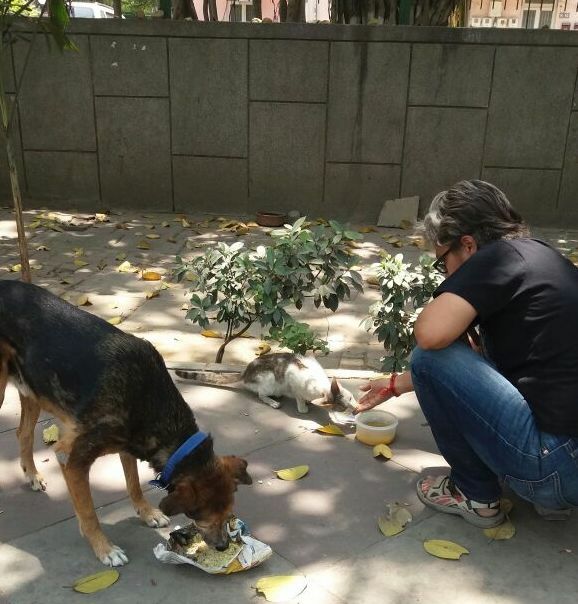 We feed more than 300 -350 dogs daily on the streets in South Delhi. On the street we feed street dogs so we can take them for sterilizations to reduce the puppy population, vaccinate, attend to wounds, skin diseases, gastro issues, eye infections, maggots and injuries and every other issue that afflicts them. 90 % of the dogs we look after are treated successfully on the street. We vaccinate all the dogs we work with against rabies and fatal diseases like Parvo and Distemper. 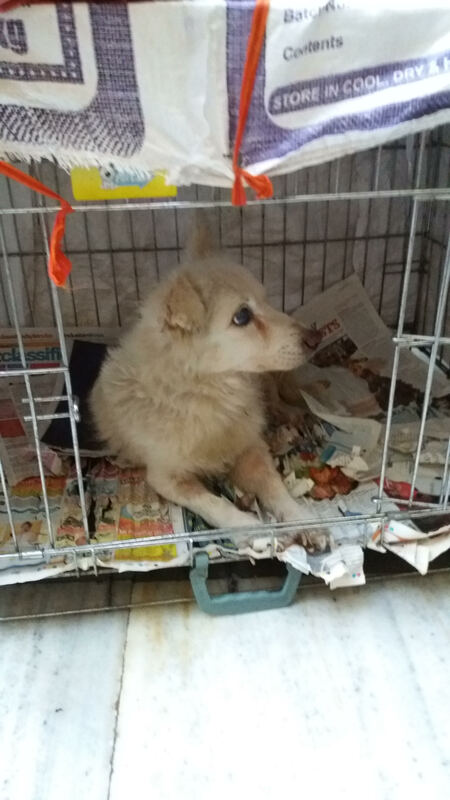 We find homes for abandoned dogs be they pedigrees or Indian dogs. We organize fostering and adoptions of puppies and then follow up with adopting families, to ensure that the puppies are well looked after and loved. We provide training for all kinds of dogs to ensure that they and their owners are living happy lives together. People who adopt pups/dogs from us have access to a 24-hour helpline for any problems they may be experiencing. 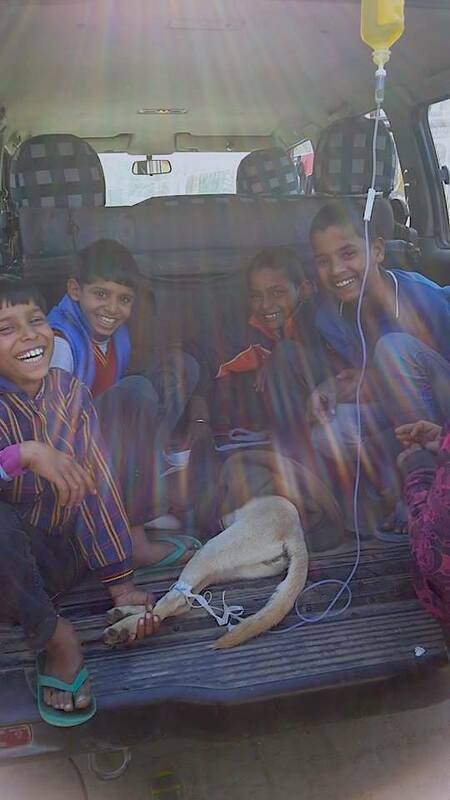 Pic : We educate and train children in slums on the basics of treating these dogs. Indigree has for 7 years responded to sick injured street dogs by running Indigree’s Mobile Clinic with a para-vet who addresses wounds, mange, fever, deworming, gastric problems, broken limbs and maggots as well as minor accident injuries by treating the dog on the street with regular after care. We are crowdfunding ₹ 1.1 lakh for the running of our ambulance service for a month. These are our running costs for one month. The total expenditure for 1 month comes to ₹ 103870. # We do not foresee any issues or challenges with executing what we have committed to in this campaign as the AMBULANCE is integral to the execution of our monthly plans . The funds we raise will be spent on the Ambulance running costs . 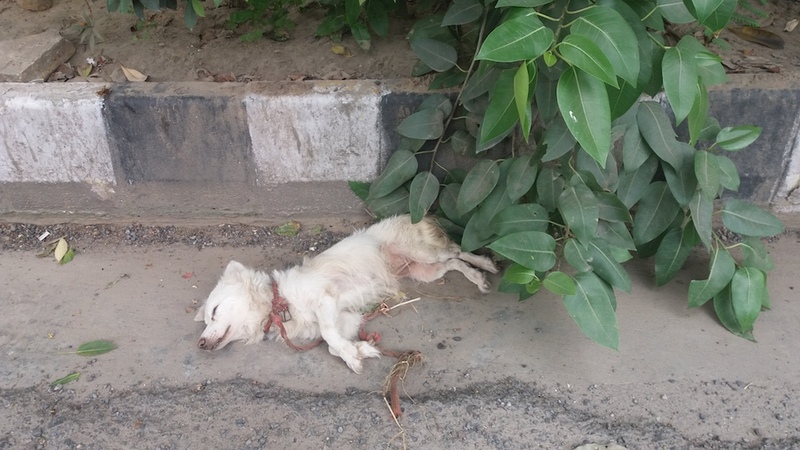 # However our concern ( not really a challenge) is that the amount of work we do only keeps increasing as there is NO let up in the number of dogs we find on the streets . India as a nation has over 30 million stray dogs, and the government has a very lax attitude towards their well-being. The population of the dogs continues to grow & the way humans treat them continues to get worse.Every day, we hear stories of severe cruelty and ill treatment that these poor, desolate animals suffer. Through Indigree, we seek out animals that are in need of medical attention, nutrition and care. As a token of appreciation, you will receive an E-card with an image of a rescued dog and also a personal email from Indigree. An amazing animal poster print! As a token of appreciation, you will receive a high resolution poster image of one of the rescued dogs. You will also receive a shoutout on the Indigree FB page. Jasjit would love to have a Skype call with you about dog care and also basic medical care for your pets. Also, as a token of appreciation, receive a high resolution poster and an email from Indigree. Thank you for your generosity. 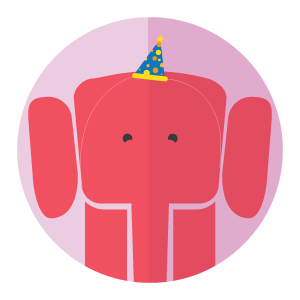 As a token of appreciation, your name will be prominently displayed on the ambulance as one of the supporters of Indigree and you will also receive all the above rewards.